We offer manufacturing of special seals of highest quality. We are able to design and develop a unique seal for you, which can increase your exclusivity among your business partners and family friends. It is our pleasure to develop seals at any level of complexity - from simple monograms to most complicated seals, family emblems or company logos. 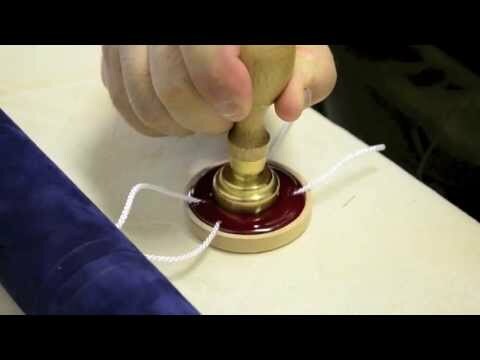 Our most luxurious seals are hand-made. They are engraved in bronze and gilded with 24 carat gold. Their heads (stones) are removable and can be used for tooling in paper, carton or cardboard. We have the capacity to develop very complex designs and gradually finalise their graphics. 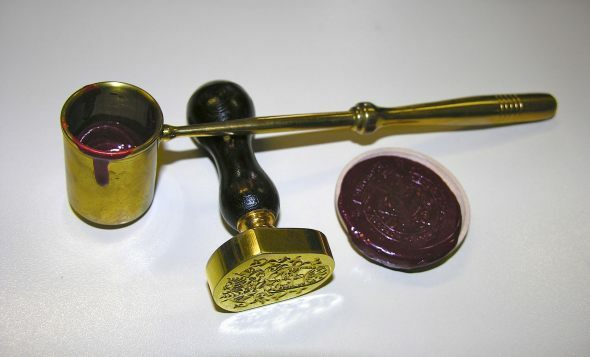 Based on historic sources, we can produce, for example, replicas of medieval seals. Furthermore, we can restore your old seals. 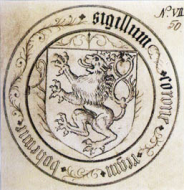 The state seal originated as the "Seal of the Kingdom of Bohemia" between 1429 and 32 of the seal of the state court of professions from the mid 13th century. How to order a seal? You can send us your seal design either drawn or in the form of a graphic file by e-mail, post, fax, or bring it in person. The delivery time is approx. 4 - 6 weeks. A seal can be used for blind-blocking on luxurious documents, commemorative certificates, promotional materials, brochures, on envelopes and letters, etc.